The Twilight People exhibition at the Pod Collective, Coventry, has been extended and a special ‘Meet the Makers’ event added. 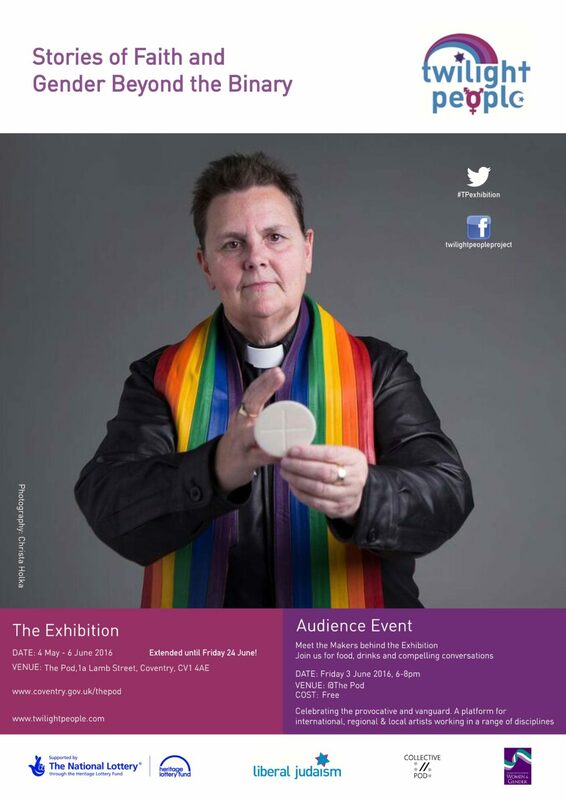 The groundbreaking exhibition, exploring stories of faith and gender beyond the binary, will now run until Friday June 24. An Audience Event, celebrating the provocative and vanguard, takes place on Friday June 3 from 6pm. Both are free. The Twilight People exhibition is Britain’s first highlighting the heritage of transgender and gender nonconforming people of faith. It is hosted by Liberal Judaism and supported by the National Lottery through the Heritage Lottery Fund. It originally ran at the Islington Museum in London. For a video with Surat-Shaan and others talking about the project, click here. The Twilight People exhibition is also planned to run in Manchester, Brighton and Eastbourne. More details will follow soon.